The Greatest Niche Research Tool Ever-MRR+2 Mystery BONUSES! Research is the Key to Online Success! Find Your Target Niche Market Using This Swift, Foolproof Method! 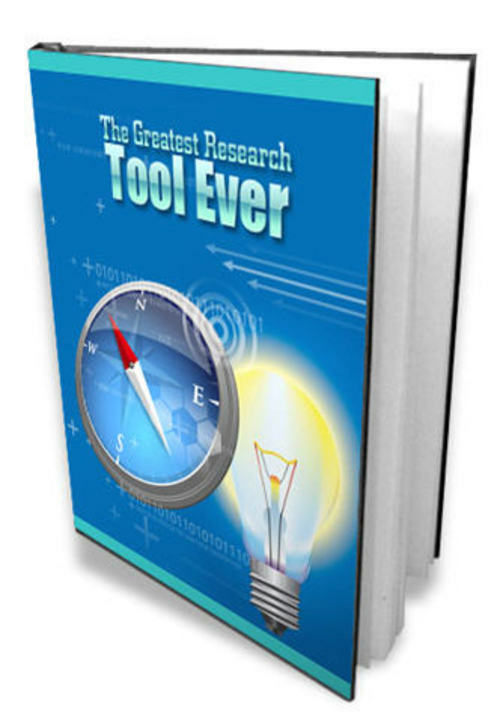 "The Greatest Research Tool Ever"
In this eBook you will discover the single most effective and efficient way to do research for your business without blood, sweat or tears or forking out hundreds or even thousands of dollars for market research information that may not even be correct! * How to use Google referred Indexing plug-ins to allow you to search for information ten times faster both online and offline - a boon if your computer is a little slow! And much more -- including how to use https://www.tradebit.com, Google sites, Google Sketchup, Google talk, Google Chrome and many other Google programs to make your website into a powerful profit maker! 10. Is there any money being spent? Where In The World Is My Keyword?